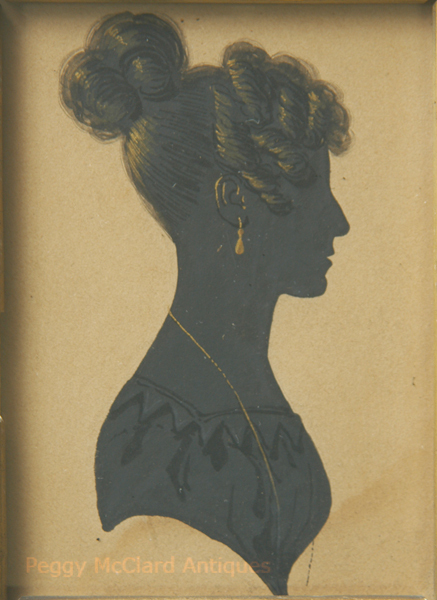 Lovely 19th century painted silhouette of a stylish young woman. 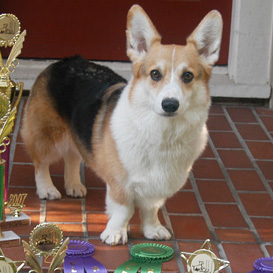 She wears her hair in a tall Apollo knot at the crown of her head. Curls frame her face, ending just in the front of her ear, which is showing. Her jewelry includes long drop earrings and a long gold chain. Her dress has puffed sleeves, a low straight neckline edged with a serrated collar. This silhouette is fully painted (not cut) in dark grey with very nicely executed embellishment. 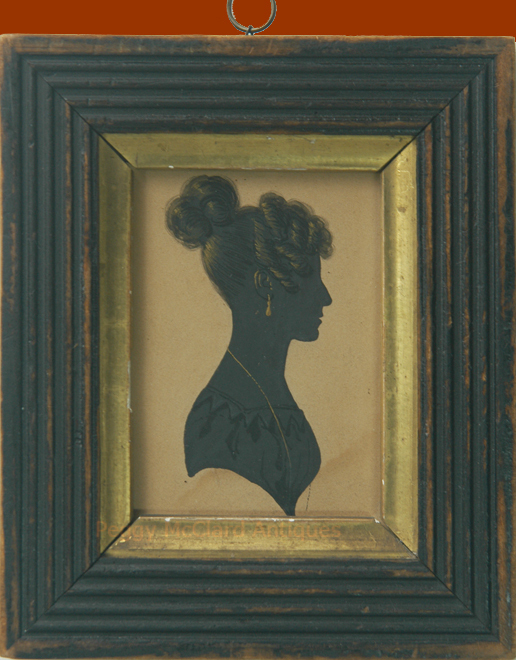 She resides in a period (possibly original) reeded wood frame with a gilt liner. There is expected toning to the background paper, a tiny spot of stray watercolor just below the back of her bust-line termination. What looks like a possible tear or stain below her bust is actually the artist's continuation of her necklace. I think it is brilliance that the artist switched to the grey body paint to depict the far side of the hanging necklace. There is some scuffing to the frame as you can see in the photos. Otherwise great condition. The frame measures 6" x 5", not including the brass hanging loop. Circa 1835.